The greatest compliment you can get as a chef, is for someone to tell you after eating their meal, that they can taste the love that went into every bite. 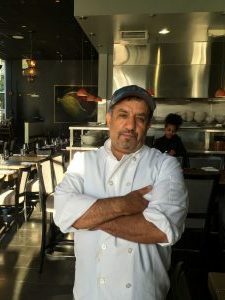 Chef Mohamed Aboghanem knows what he is meant to do in this life; and it is cooking. What is important to know about him, is that he doesn’t see challenges in making food that is clean, nourishing, and incredibly tasty; but also healthy for all kinds of diets. He has evolved into quite an understated talent who takes pride in being a hands-on Chef and sole business owner. Chef Mohamed carefully selects ingredients which are best for the health of all involved. 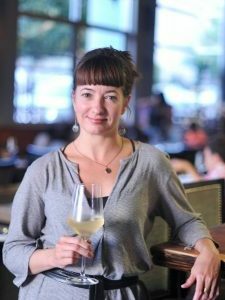 Marmee Manack, a certified Sommelier and Italian Wine Specialist, heads the beverage program at Saha, in addition to acting as General Manager. The focus of the wine list is on small producers from known and obscure regions who practice sustainability, organics and Biodynamics. Since Marmee opened the original Saha with Mohamed in 2004 and ran it for ten years, she knows the nuanced flavors of the cuisine best and always enjoys the exciting challenge of wine pairing. She will launch Winesdays in March and will lead a wine pairing & education dinner on a Wednesday evening each month. Like Saha on Facebook for updates on Winesdays and other special events. Signature cocktails and a specially selected spirit section are beautiful additions to the beverage list more recently. The same support is given to more local, hand-crafted and organic options when possible.